“Everyone wants to be a FARO”. Yes, this line was immortalized by Joe played by Bo Hopkins in the film American Graffiti as he convinced Curt (Richard Dreyfus) to become a member of the Pharoahs. 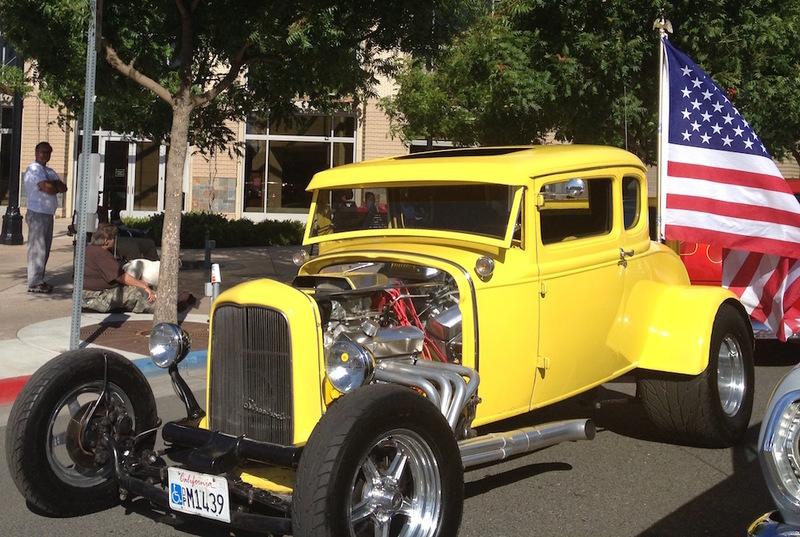 Modesto’s own Faros were the inspiration for this “car club fraternity”. The FAROS were born in the same house in 1957 as the Ecurie AWOLS, Lucas’ race import car club as AWOL founder Chuck was the brother of Dennis Billington, founding FARO along with Harry James and Maurice Clark. They first tried to start a club they called the FAROS Fraternity at Modesto High School. That initial effort was squashed by the Dean of Boys, Paul Whitmore. He threatened to expel all of them if they started the club. Therefore that first group only lasted about 2 months but they came up with the name FAROS and the FRS Crest. In 1960, when they got to MJC, the FAROS were restarted, sort of. 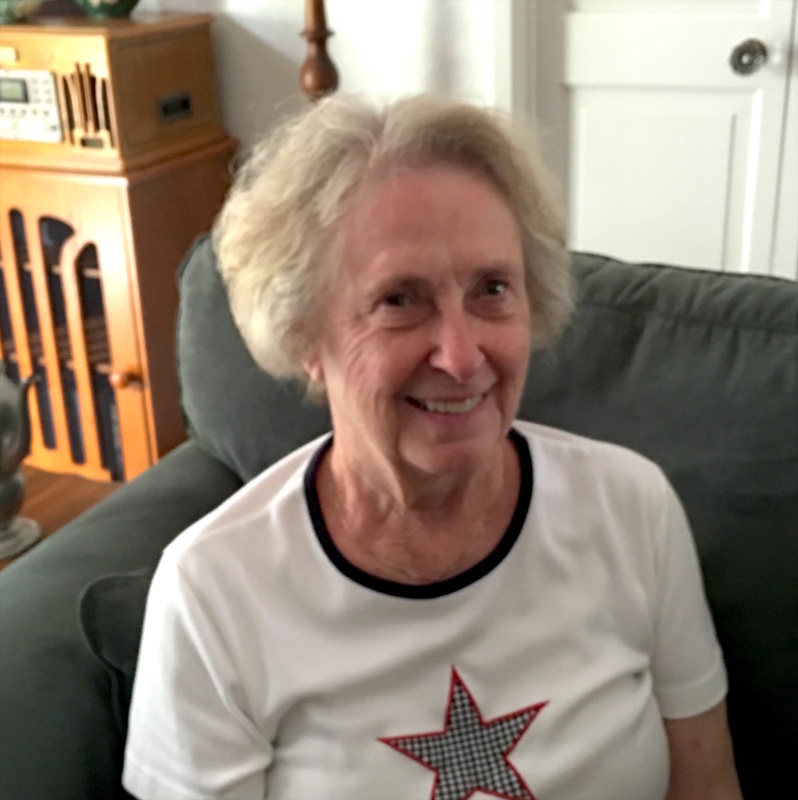 Five or six of the guys met at Joe Wyle’s house and talked about starting the club at Modesto Junior College, in hopes that the strict rules in high school would not be existing. Dennis Billington said he could get the stamp to engrave the cards with FRS FAROS. This was going to save the club a whopping $20.00 (keep in mind that $20.00 back in 1960 was a huge chunk of money). And so The FAROS arrived on scene in Modesto! Much to their dismay, MJC, just like Modesto High School, threatened to kick the guys out of school if the FAROS tried to affiliate with MJC. So the club came into being with no (official) ties to any school. The positive side of this allowed the members to be composed of Modesto and Downey high school graduates, this time uniting without rivalry. They weren’t college kids, they were just guys who got together and worked on cars (with a few parties thrown in here and there). And the rest is history. Don Monaco is one of the fastest men in Modesto. 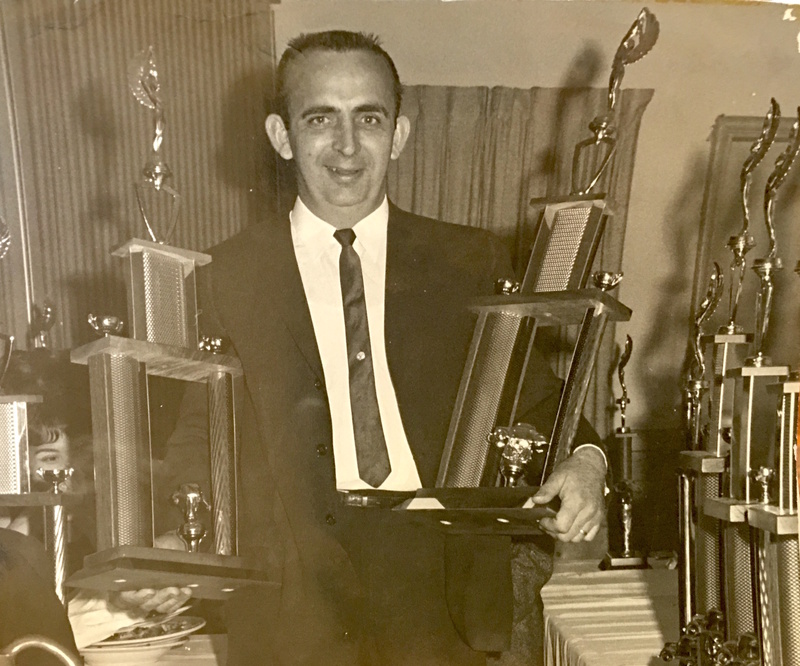 Don Monaco has been racing fast all of his life. 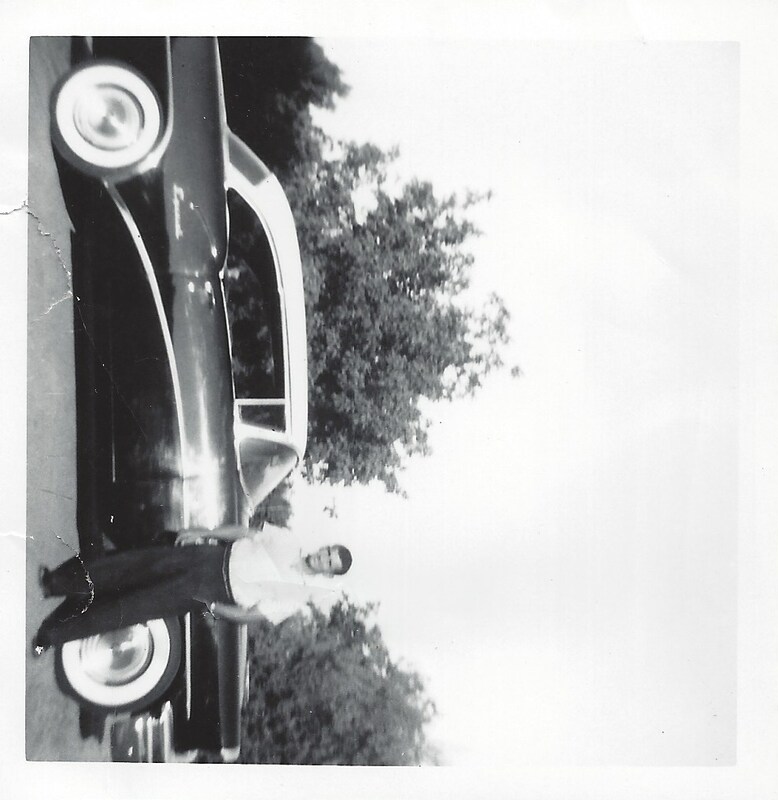 Don’s first car was a Model T that be bought when was 12 for $ 7. 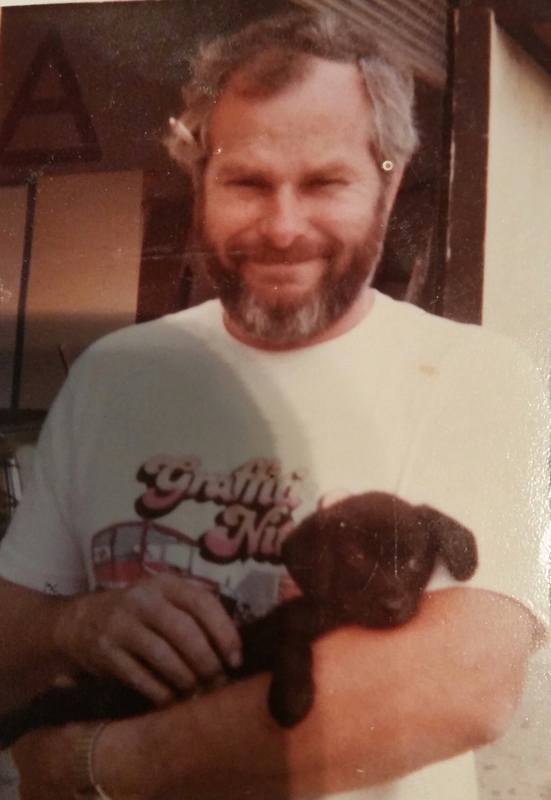 Son of a peach farmer, Don was a self starter all of his life and a after a stint in the Navy, founded Don’s Mobile Glass, taking the car glass service out of the shop and on the streets. 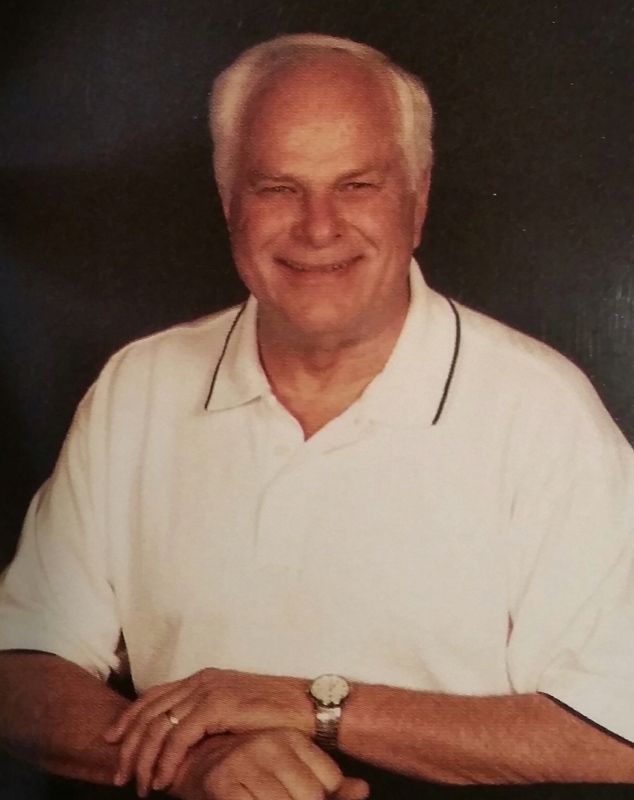 Don was a racer and a cruiser and knew all of the best Modesto hangouts like the Bamboo Room, Jack’s, the Patio and others, and had a ring-side seat to some of the cruise excitement. 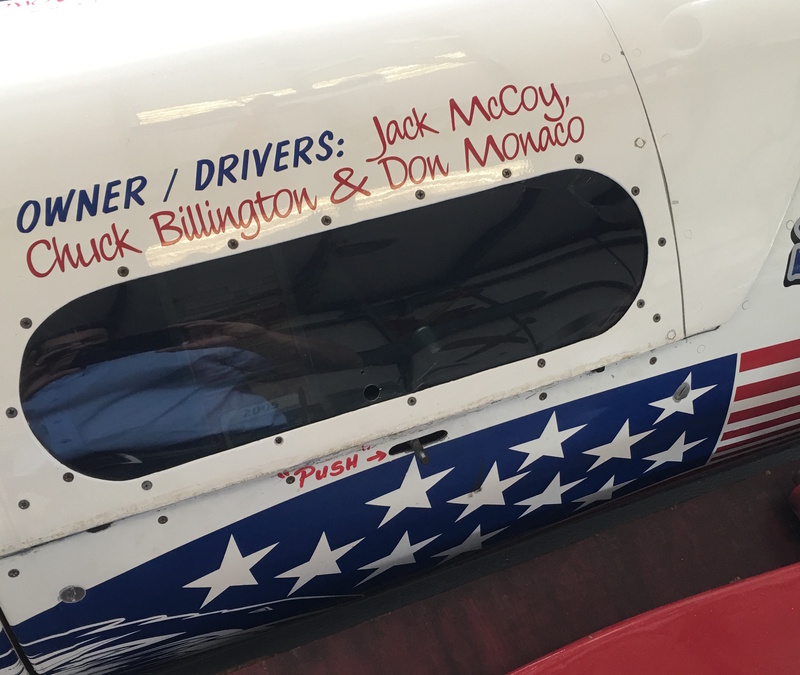 During the early 60s, Don Monaco along with the late Chuck Billington and late Jack McCoy would set up a racing partnership that would ultimately win a land speed record on the Bonneville Salt Flats. Don is also an acrobatic pilot and has been seen doing spirals and loops in the Modesto sky. Friends with 2015 Cruise Parade Grand Marshall and fellow legend Bart Bartoni, Don was part of Bart’s Godfathers crew in the 70s, named for the restaurant over Bartoni Jewelers. 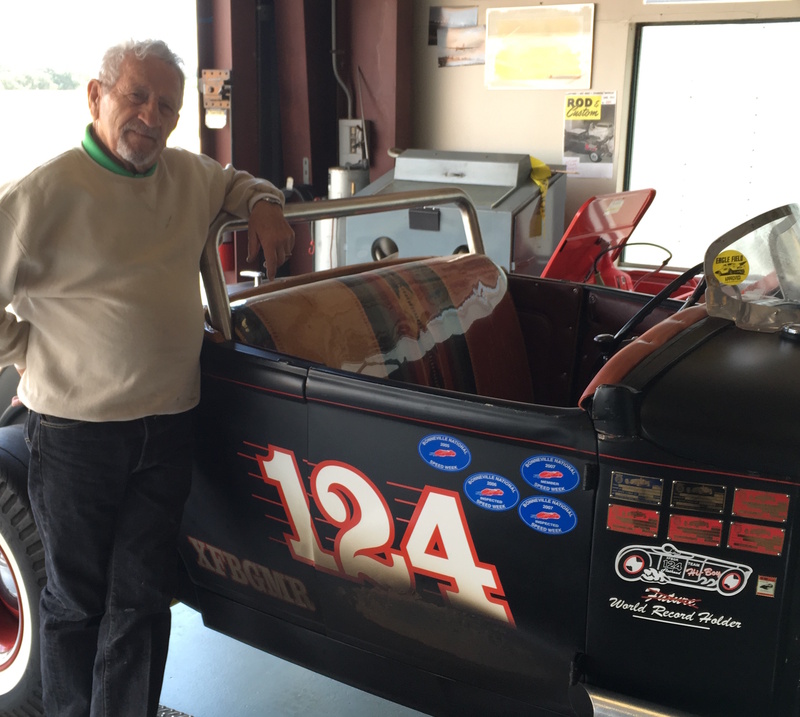 Don is still an active racer, and is currently tuning up his “High-Boy” land speed record car to head off to do the Hot Rod Hillclimb race in Colorado. He will pull it all the way there behind his ’49 Cadillac. Don has been married to his wife Gloria for 28 years and they have been known to get in his plane and pick a direction and just fly and stay wherever they land, where they now have friends all over the USA. Best High School physique marries the Best looking. This is the story of Judy Felix and her husband Kenny Walk. 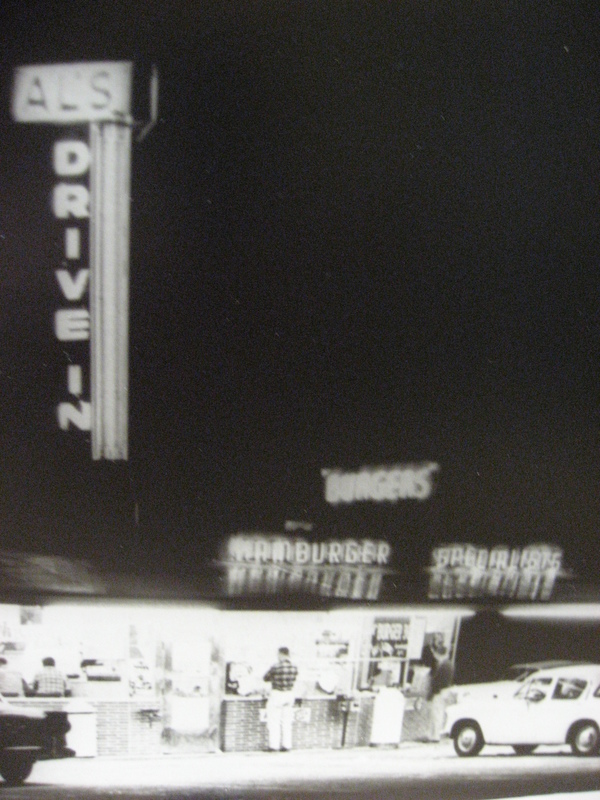 Her’At the other end of the cruise in the mid 50’s was another drive in called Al’s. This was the home for most of the kids from the newly constructed second high school in Modesto, Thomas Downey High School, from where George Lucas would graduate in 1962. Located at Frances and McHenry, Al’s was owned by the Felix family, after Leonard Felix purchased it in 1950. Judy Felix Walk, was part of those days and had one of the best cruising places in Modesto. Her parents were strict with her curfew, but since she worked at Al’s, she was always in the middle of it. 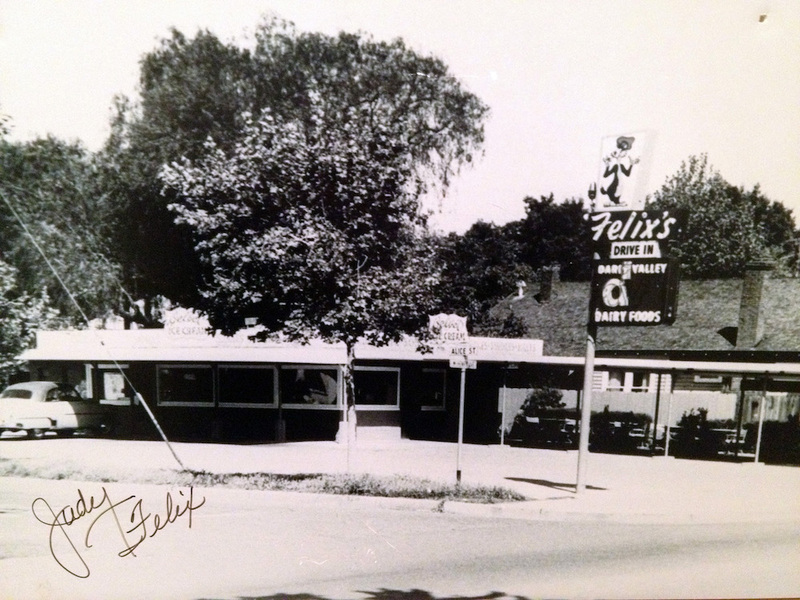 The Felix’s also had another drive-in called Felix’s Drive in at Alice and McHenry. Al’s and Felix were key to the evolution of the cruise out McHenry from 10th and 11th St. Judy would meet her future husband in high school. 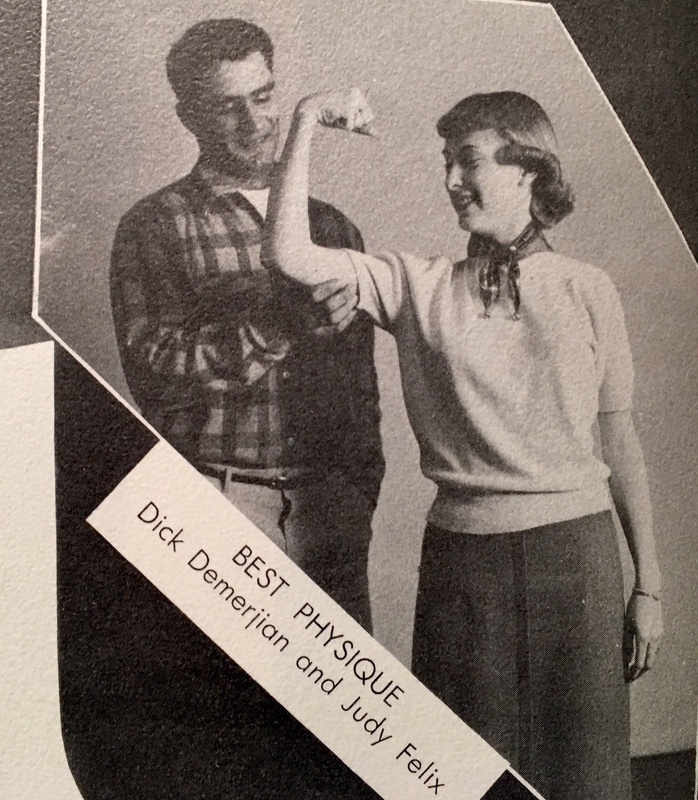 “Best High School Physique” marries the “Best Looking”. Kenny and Judy Walk are still married today and continue to share their Graffiti memories. 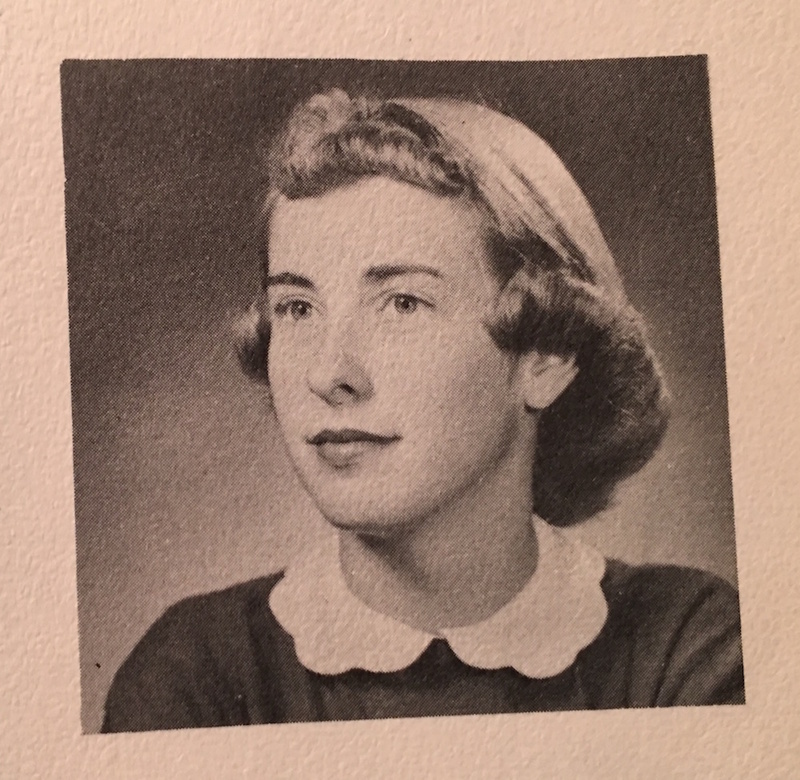 Kenny Walk would work the drive ins during those years as did her younger sister Joyce Felix Hawkins, now in Pittsburg, PA. Al’s and Felix’s are no more, but the contribution of the Felix family created an important chapter in our American Graffiti history. 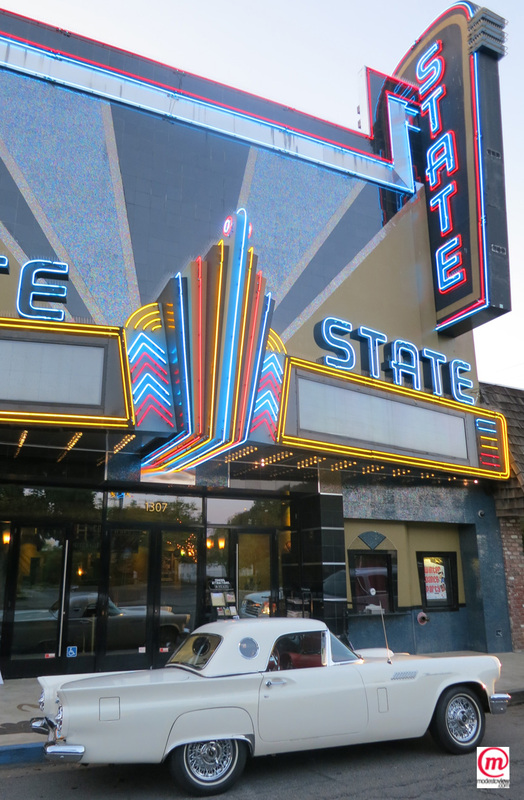 Every classic car needed a flashy paint job. 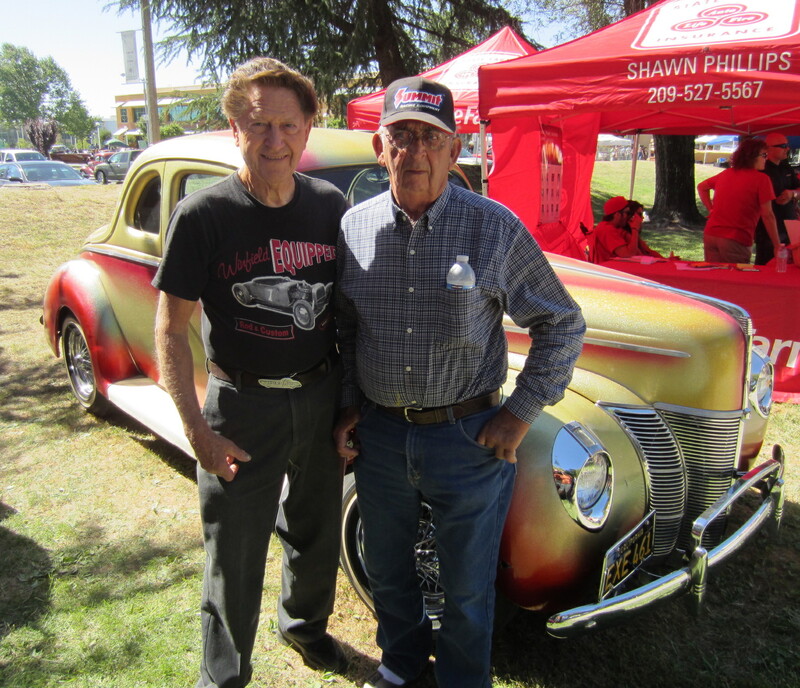 Over the years, Glen has pinstriped at least 20,000 cars and back in the day and Glen’s hand painted work adorned many a classic car. Glen was part of the original cruise back in the late 50s and early 60s and was always artistic. Glen started “pinstriping” cars for extra money in college and his goal was to “enhance the car, but not be the first thing you see”. The fine stripes, flames, scallops and more found their way to cars all over California and would become part of classic car hot rod history and would later become a key accessory on cars in the 70s and 80’s. 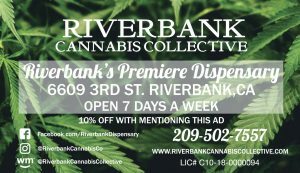 He attended both MJC and CSU Stanislaus where he earned his BA in 1973. He would later start Wild Signs in 1973 and continued to do custom work through the 90s. His artwork and car art were very popular throughout the evolution of the cruise and where a big feature in the huge cruising years of ’78, ’79 and into the ‘80s. He also created the art for many of the Graffiti Night events and activities. 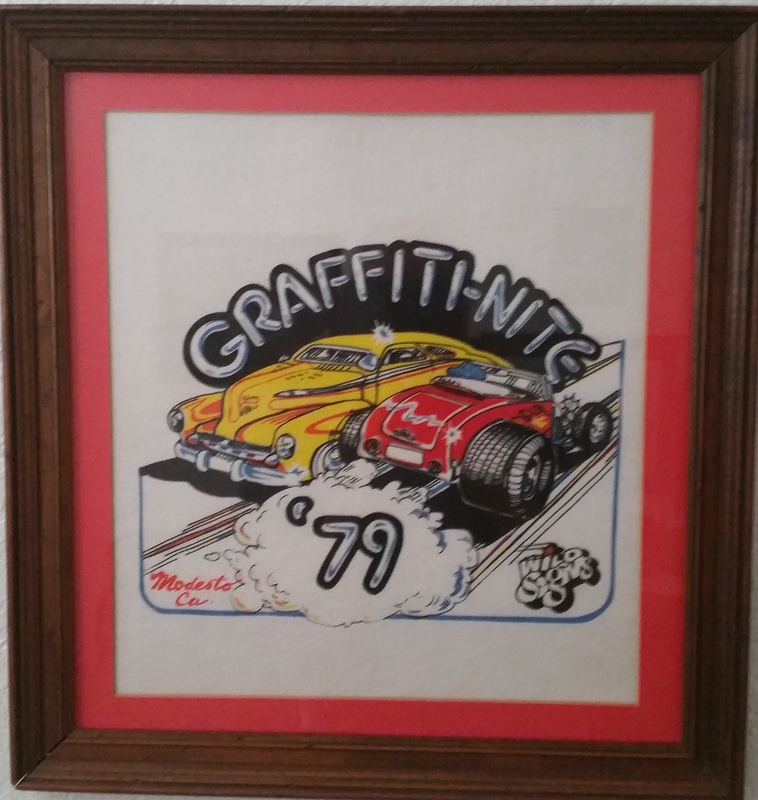 Glen’s art and inspiration was a key part of Modesto’s Graffiti Cruising era. He is retired and married to his wife Sandy. One of the most treasured classic cars on the circuit today is the ’40 Kaleidoscope Koupe that is owned by Frank Burnett. 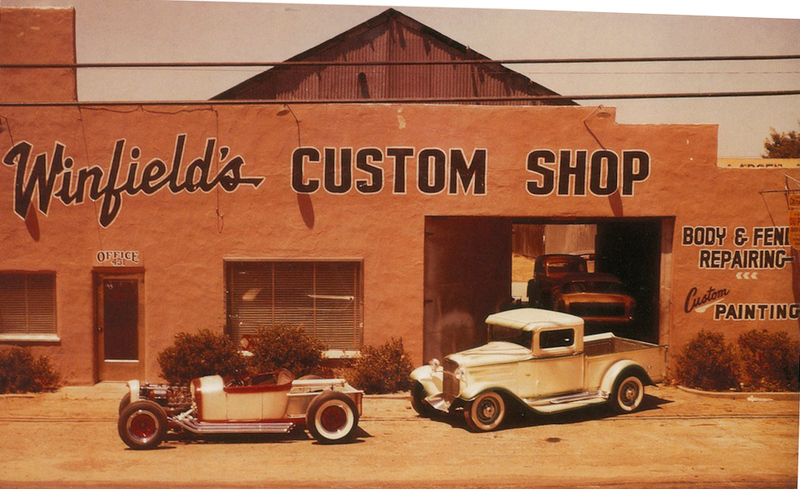 Frank’s collaboration on his ’40 Ford Coupe with Gene Winfield, converted his sweet black car into the Kaleidoscope wonder that it is today. 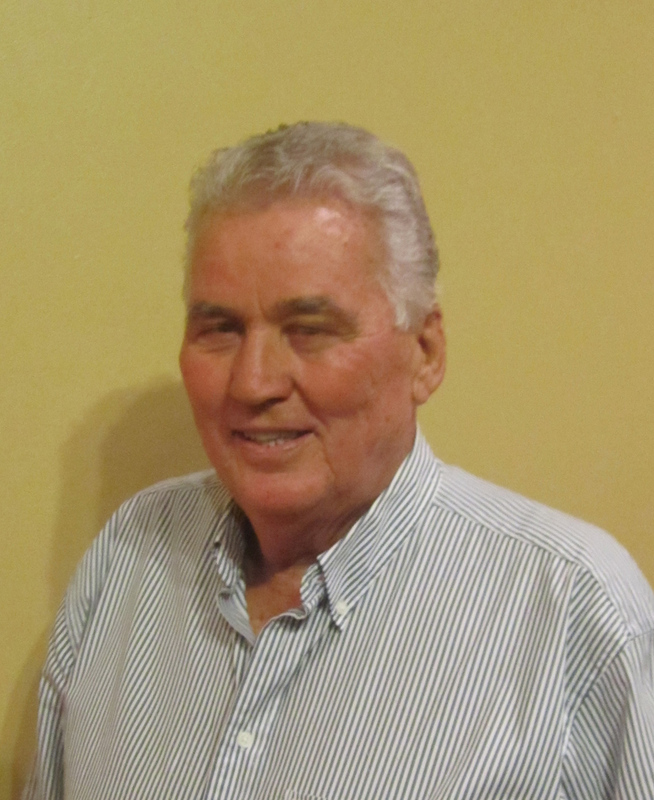 Frank grew up in Patterson, working at Patterson Frozen Foods. He loved motorcycles and horses and could even stand on horseback while the horse ran at full gallop. 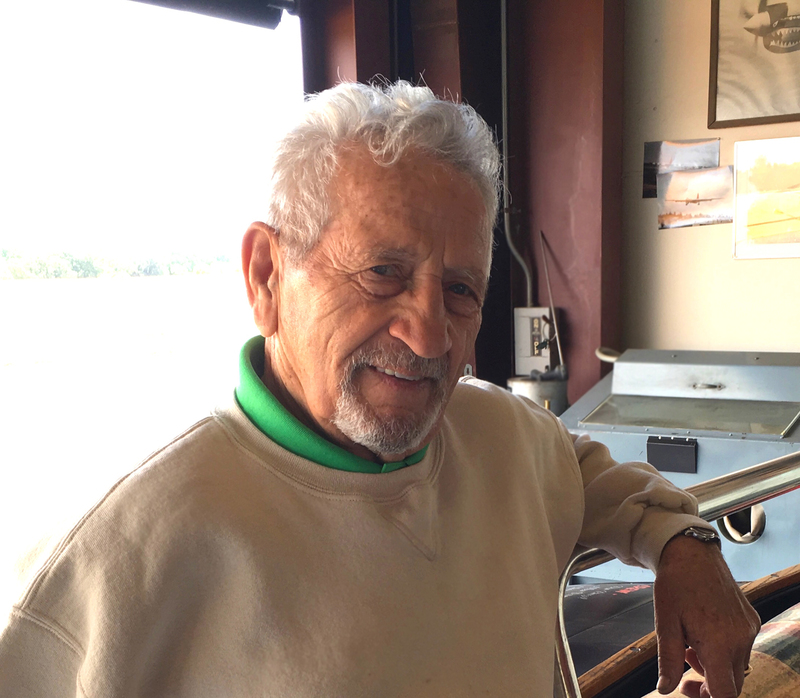 Since 1955, Frank has been part of the cruise with his drive in restaurant out on Crows Landing road “Burnett’s” he owned with his wife Louise whom he married in ‘53. 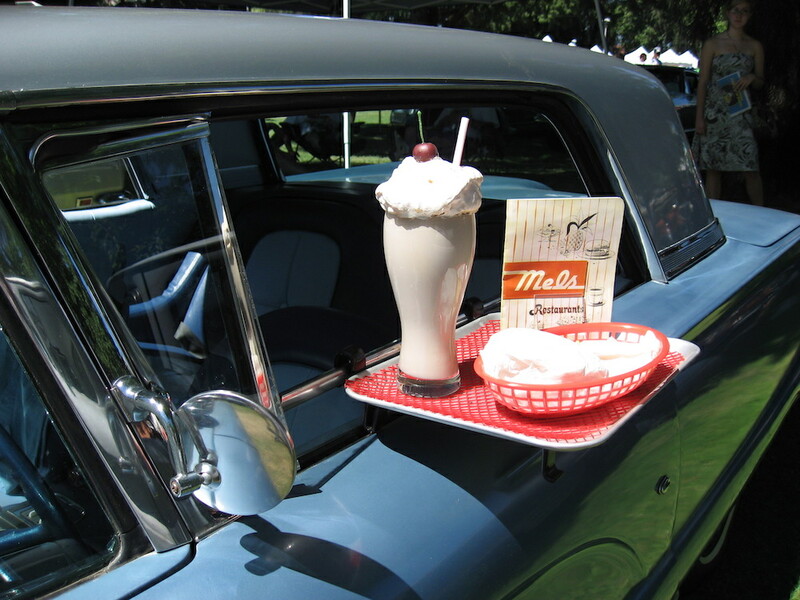 It featured car-hop service with seating inside as well. 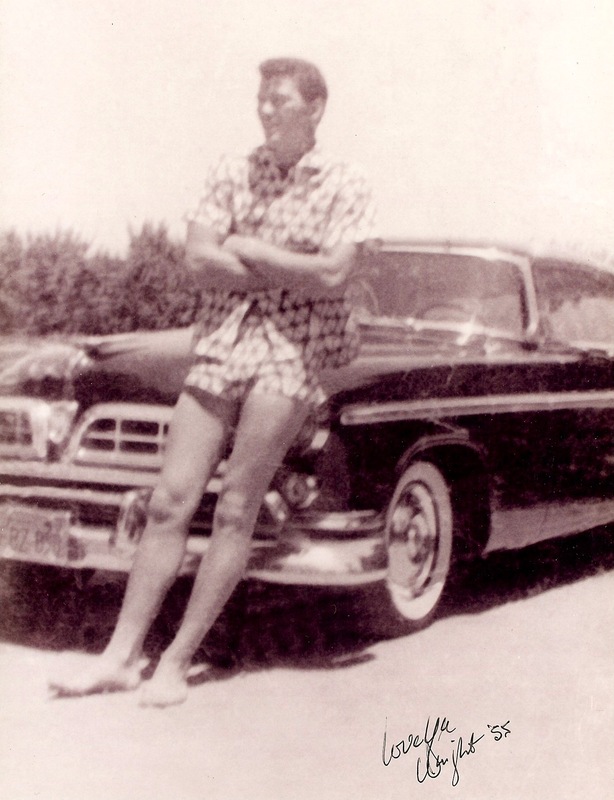 Even during the 40s, Frank had his first hot rod at 13 and his drivers license at age 14. 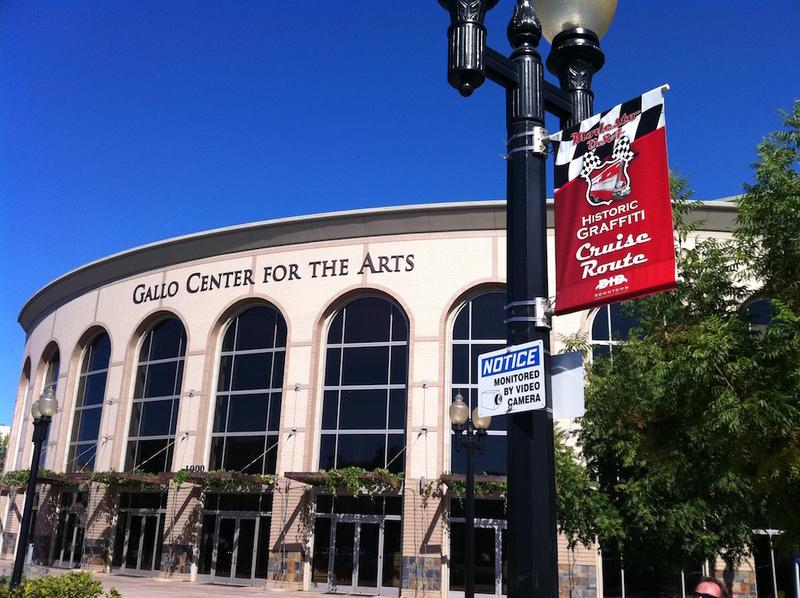 It was a big attraction located in the Caruso Center for many years. 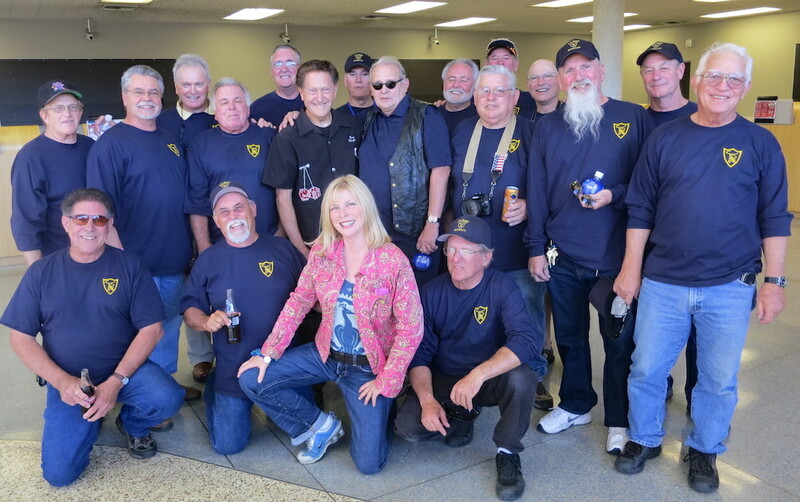 Frank was a member and president of the Modesto motorcycle club and lead many events and road trips. 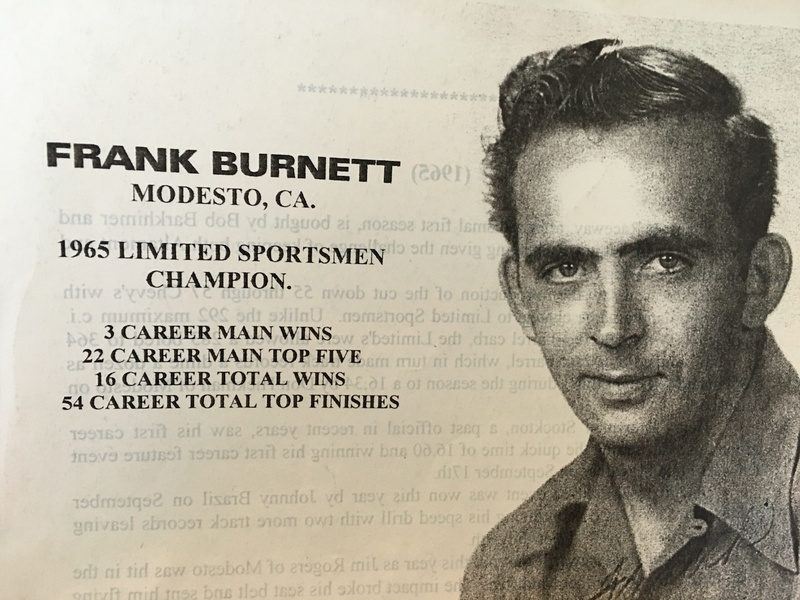 Frank was also a champion NASCAR racer with a car he purchased from Richard Petty and he raced locally with #43, winning the Stockton 99 championships many times, racing against his friend Jack McCoy. Frank lives in Modesto and is still married to Louise and shows his ’40 Kaleidoscope Koupe when ever he can. Practical joker does not even begin to properly describe Dwight Trammel. Tall and imposing, there was not doubt that Dwight and his brother “Tiny” were tough, but beneath that tough façade, is one of the funniest people you will ever meet. Fast cars, girls and fun always found Dwight.